It’s (Wo)man vs. Machine: (Wo)man Wins! We’re now learning that regions cannot be associated with a singular function (i.e. the frontal cortex as “the place where personality occurs”). The brain is not a storage dump, and consciousness is not a place. Synapses are also far more complex than electrical circuits. Neither processing speed nor short term memory capacity are fixed, whereas RAM is. 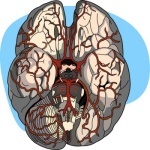 In the above-referenced blog post, Megan Erickson reports on more current research that calls into question the idea of a compartmentalized brain.Erickson summarizes the points made by a cognitive neuroscience. The gist of the summary was that our brain is so complicated that there can be no analogy (yet) to a computer, in part because we are not aware of the distinct individual processes that if combined explain how the brain functions. I am neither a scientist nor a doctor. But I had believed the theory that the brain is a machine similar to the computer; that certain areas of the brain perform certain functions and that the synapses were similar to electric circuits. At the same time, I thought it was not a complete picture of the brain–just as our bodies can adapt; sometimes when you lose hearing, your eyesight becomes clearer, I still thought the theory that the brain was divided into certain functioning parts made sense. And what about the idea of left brained and right brained folks? It all made sense, in a simplistic sort of way. 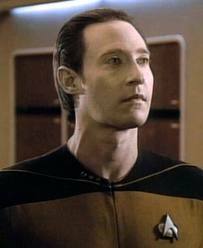 I can’t wait to have the discussion about whether Data is a sentient being!